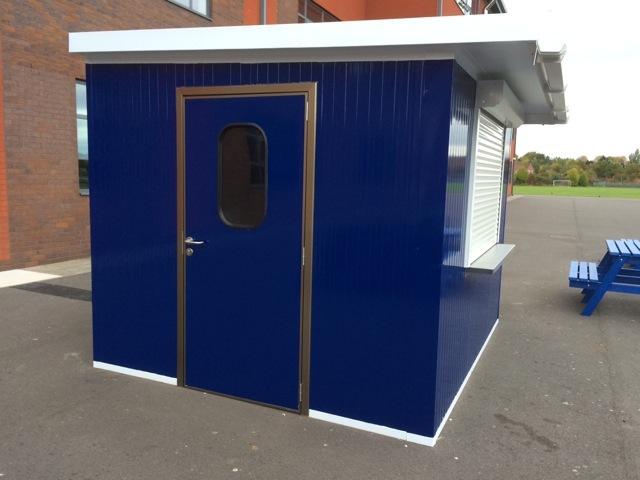 Bournville storage and catering PODS are available in a wide range of sizes, starting at a standard 3.0m x 2.6m unit to a bespoke designed POD built to our client’s specific requirements. 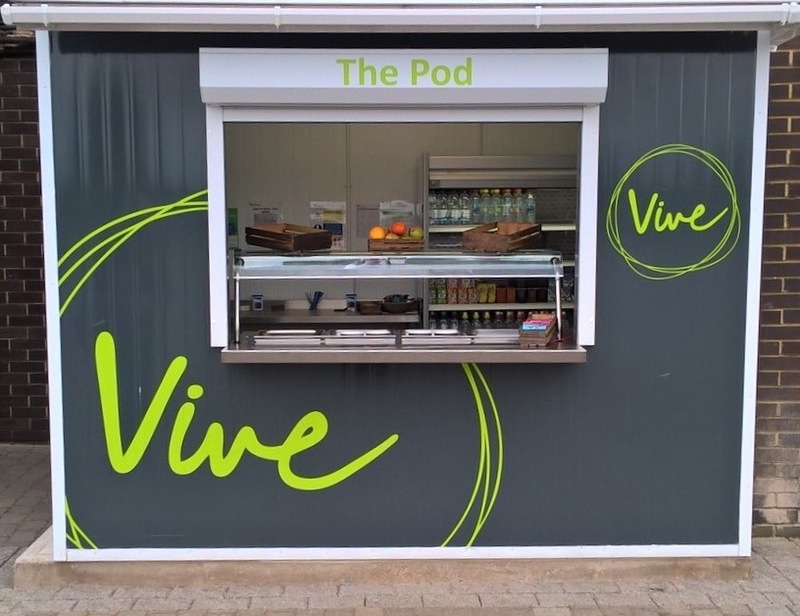 Our catering POD is an ideal addition to any catering operation; offering fexibility, greater choice for diners and helping to support the busy periods of our client’s operations. Maximum 3 days for complete installation. 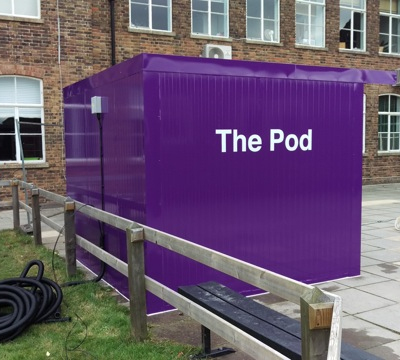 Our storage PODS also create additional storage space for your current operation and are ideal for holding all dry goods. 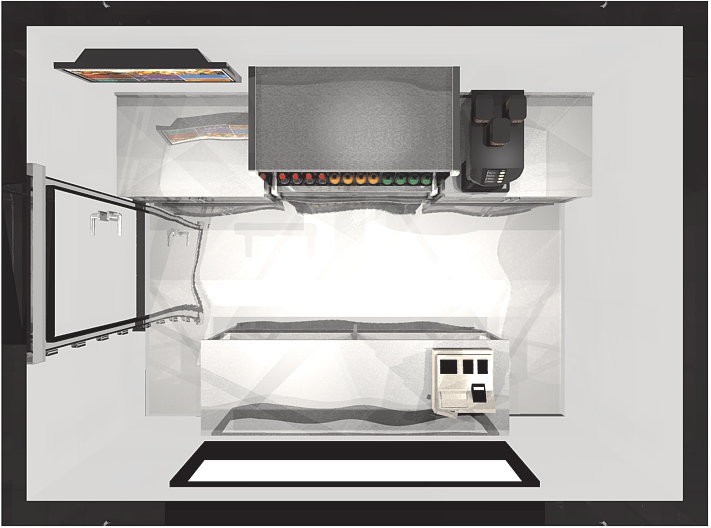 Your production and preparation areas will become less cluttered and the extra space may enable you to buy in greater quantities at a better price potentially saving you money and reducing the risk of the inconvenience of failed or late deliveries. 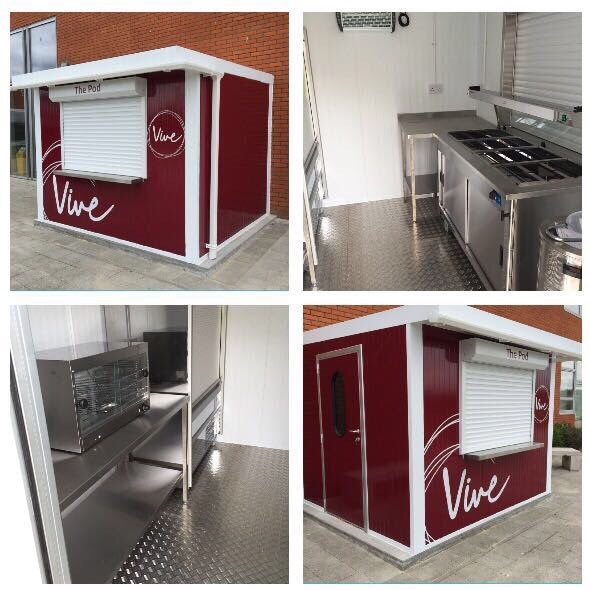 I would like to thank Bournville Catering Equipment for the first-class job they have done from start to finish on the catering POD at one of our schools. This is a fantastic addition to our food offering and is definitely something we will be looking at for other sites. 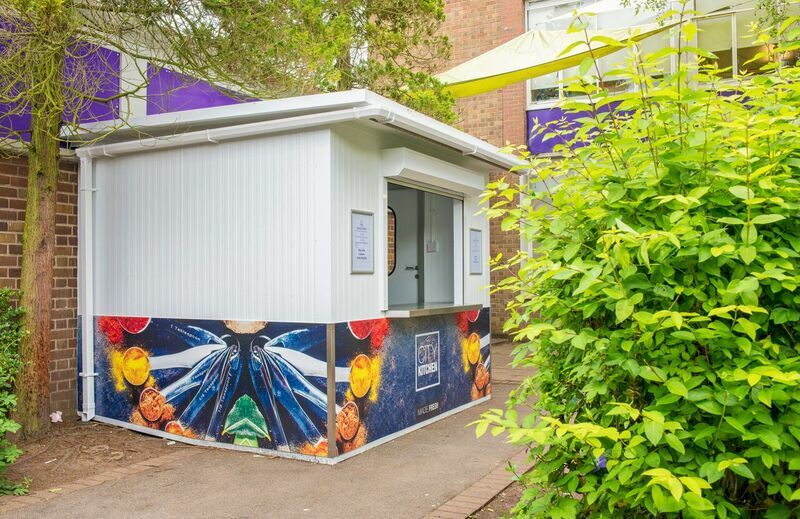 Bournville Catering took the time to fully understand the school’s requirements for the Catering POD, undertook a full site survey and presented their proposal professionally. 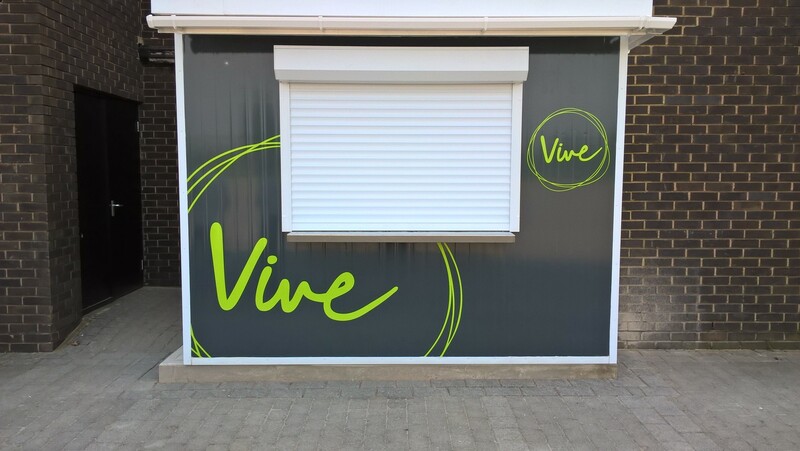 Once agreed they then managed from start to finish the whole installation process. 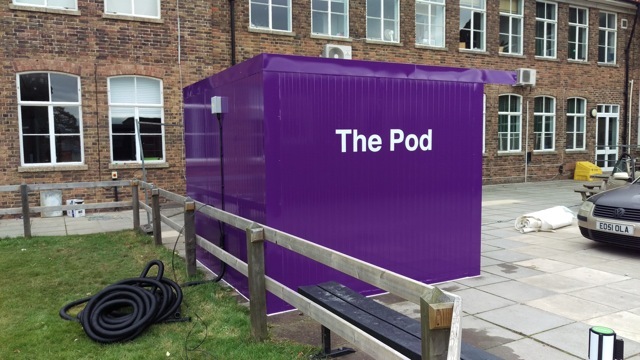 The build quality and application of the POD is just what we were looking for, and it has proved a very popular addition to our school’s service points enhancing the uptake and giving the pupils a fun alternative. As an aside I found Bournville staff, very professional, friendly and supportive if you have any questions. I would have no hesitation in recommending Bournville Catering in the future. 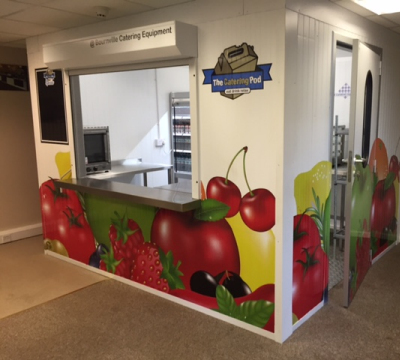 Whatever your requirements are for the catering PODS internal equipment Bournville Catering are able to supply a complete solution given our very strong partnerships with some of the UK’s leading catering equipment manufacturers. 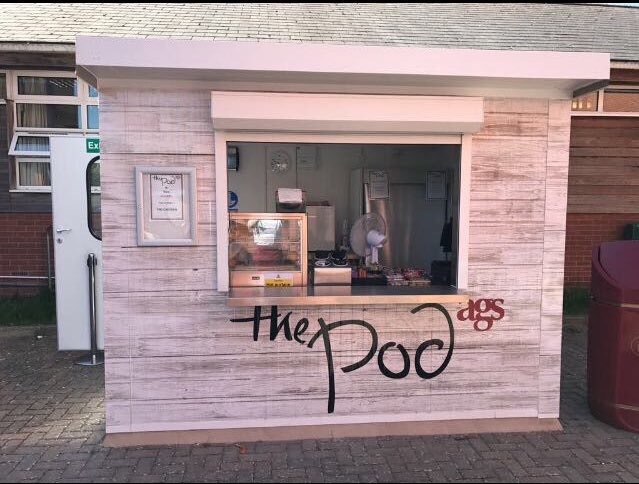 All our PODS are supplied with a choice of Altro Safety Flooring or Steel Checker Plate non-slip flooring ensuring a safe working environment for all catering staff. The external walls are 100mm thick and have high performance Kingspan Spectrum coating applied to the weather side to achieve high levels of durability and colour stability. 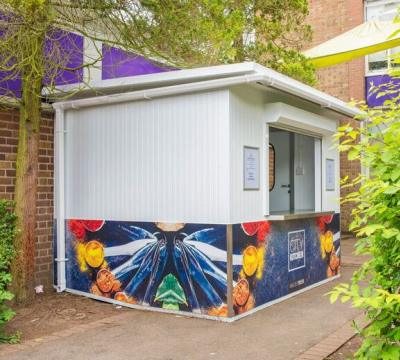 If your requirement is for an additional storage POD, then Bournville Catering can equip your storage POD with adjustable nylon coated wire racking suitable for temperatures ranging from -40 to +110 deg C.
All PODS are supplied with 1 or 2, 5ft strip level single light fittings with full covers and condensation diffusers making them safe for the catering environment. 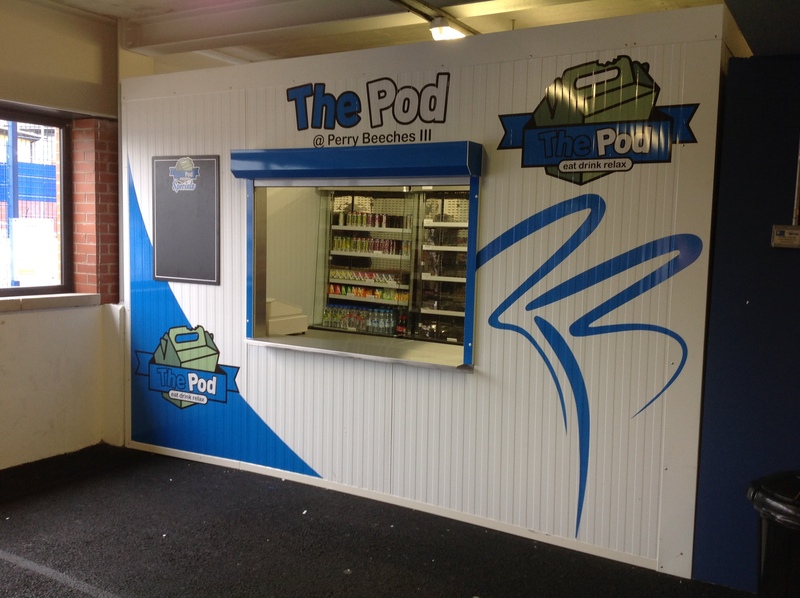 Our wipe clean foodsafe wall covering ensures the cleaning and hygiene of the POD is pristine at all times. The 120-micron thick cladding is suitable for continuous contact with food. 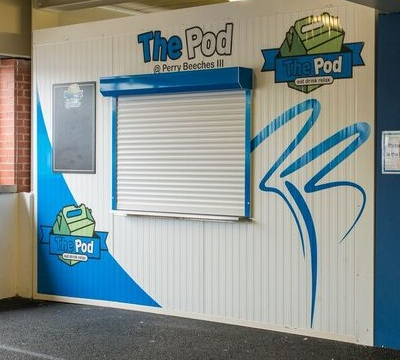 Double lock door and deadlock system along with fully secured electric shutter ensures the contents of your POD are safe and secure. 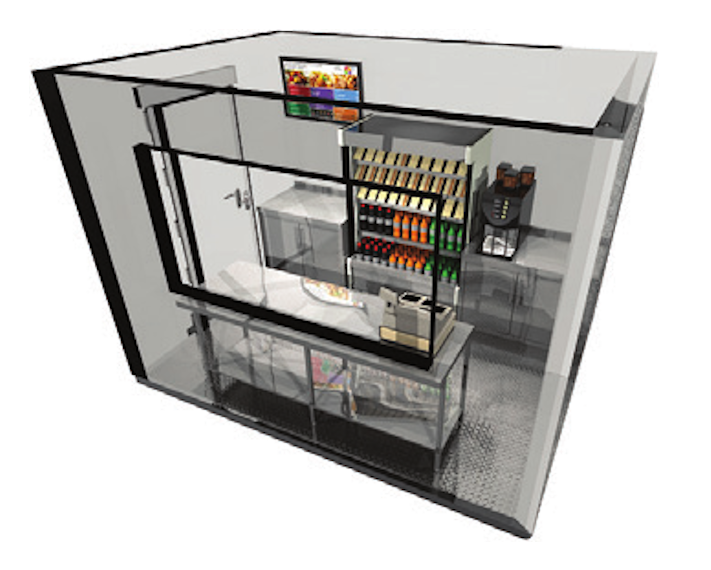 As each catering POD is built to your specific requirements we can position up to 6 power sockets to suit the exact needs of your catering operation. 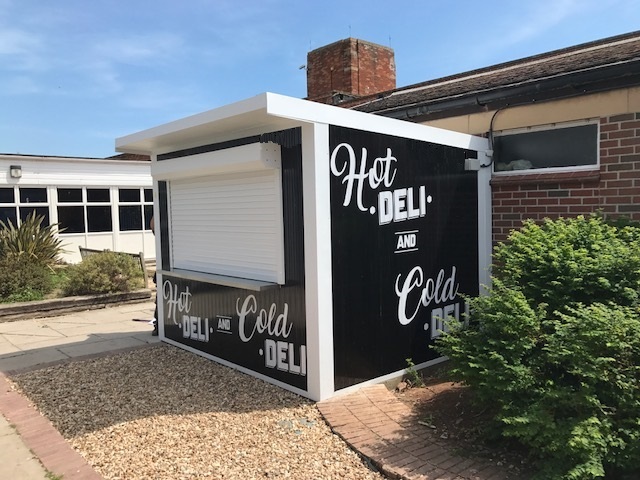 We can also offer a bespoke designed vinyl wrap to suit your exact requirements and brand guidelines.